We bring seasonal greetings to you all! Below are the salient highlights that call for your material and prayer support for our college for now and in the New Year. We started the year 2017 with nine (9) students four (4) of whom were in the final year of their studies. The college embarked on a vigorous recruitment exercise that resulted in a radical increase of students to the tune of twenty-six (26) by the end of the year. Of course, out of these four (4) graduated and thus brought the total number of students to twenty-two (22) to enter the new academic year in 2018. The subsequent recruitment exercise undertaken resulted in more than fifty (50) applications for 2018 academic year. We see this as a happy problem because the capacity for the institution is 40 students. This calls for concerted praise to our sovereign King and Saviour. We hired Pastor Festus Mbewe, our former Diploma student, who also is a qualified carpenter by profession to rehabilitate the students’ bunk beds including the bathrooms in the dormitories. So far he has managed to rehabilitate fourteen (14) bunk beds in seven (7) of the ten (10) existing rooms. This was done at our own expense and unfortunately we do not have enough cash to finish the remaining six (6) bunk beds for the three (3) remaining rooms. We also have plans to rehabilitate one small building standing near the Library building that was being used as a storeroom in the past. This can be used to accommodate extra students in the event of a crisis arising. We also have plans to finish the rehabilitation of the kitchen due to the anticipated increase of students next year. We already have an industrial gas stove in place donated by one of our partners, a matter of thanksgiving for us. Equally we need to make new tables and chairs to suit the anticipated number of students. The Kitchen also requires a ceiling board and a new coat of paint as highlighted in the last health inspection report issued by the Health Regulation Board. This too calls for immediate funding. The Principal and two lecturers undertook an important trip to Malawi for a recruitment exercise as well as visiting the old students. The trip was successful in that we have received 10 applicants from Malawi. Be this as it may, it has brought other challenges. The ten applicants and the two returning students will need financial help in meeting study permit requirements. The new rules from the Immigration Department suggest that the applicants should be able to raise a sum of ZMK1, 125. 00 each in order to qualify for a study permit. Any donation towards this venture will be appreciated. The total amount needed is ZMK13, 500 to cater for twelve (12) needy students. This year, our college managed to partner with Mukhanyo Theological College (MTC) and this program will begin next year in February when the college is scheduled to reopen. Henceforth, we shall begin following the MTC curriculum and certification program. The students who fail to qualify for the MTC program will still continue to receive CCZ certification which is not accredited. We are also partnering with MINTS International next year to offer Bachelor of Degree Certificates to our former Diploma students willing to pursue higher grade qualifications. The studies will be on the modular arrangement where the students will be required to meet at least four times in a year. Mints International stands for Miami International Seminary based in the USA. They provide distance education via weekly modules intended for study groups. Their courses are of a Biblical and Reformed perspective and are offered free of charge. MINTS International is under the sponsorship of the Presbyterian Churches of America (PCA). So far the recruitment exercise is ongoing and we shall give a full update soon. A pilot program was commenced this year with four (4) students in class without adequate knowledge of English as a foreign language. This turned out successful and promising. We have since opened up to recruit more students who are unable to speak and write in English. Instead, the students will be learning in their local dialect of Chichewa. We strongly believe that in this way, we will be able to capture and train many pastors across the rural parts of the Eastern Province of Zambia and afar field into Malawi. We will value any monetary donation towards the hiring of part-time lecturers whose function will not only be to teach but also to translate the Mukhanyo study materials into Chichewa. Our college has this year managed to acquire and install new accounting software with the help of our partners. This is a QuickBooks Accounting Software and is intended to streamline our system and thereby institute accountability for all the three (3) ministries under the college. We thus intend to produce the 2017 accounts and the corresponding budgets under the new software package. Again, this is a matter of thanksgiving and praise. 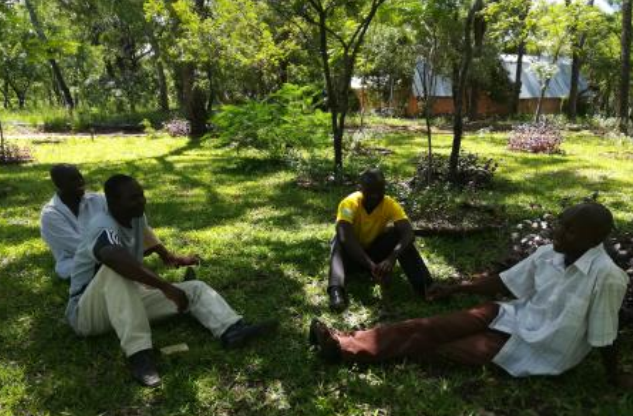 The farm was strategically set up to meet the food requirements of the college and to train pastors in Farming God’s Way (FGW) in order to make them self-sufficient upon graduation. In the past, the farm was sorely funded from outside and was not allowed to enter into gainful ventures. However, recently there was a shift of policy where the farm is now allowed to increase investment with a view of becoming self-sustaining in the long run. This approach will call for significant funding in order for it to succeed. The following are the activities and investments currently under the farm. The farm has so far managed to plant maize, sunflower, beans, cowpeas, and soya beans. We are also planning to plant rice. The funding for the chicken project was sponsored by our partners from PCA in America. So far we are keeping broilers and layers for students and for sale. Once this project has stabilised, it is intended to raise the needed local funding. In addition to this project we are also intending to start raising Black Australorps for the production of eggs for business. 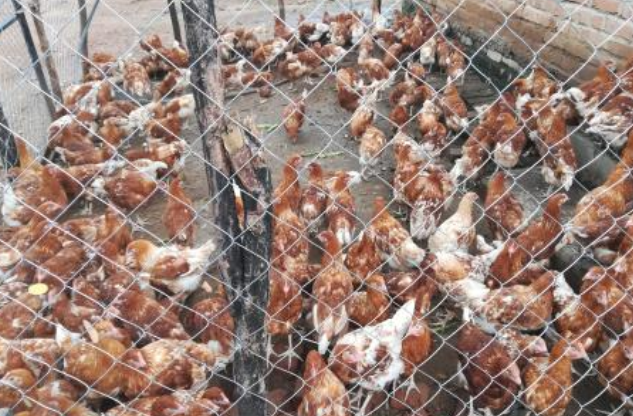 We recently underwent a training program on how to rare and make stock feed for this kind of chicken breed. This is our plan to enhance local funding for a better future. We had received funding for this project from one of our partners during the period under review and this project is yet to be implemented in the course of next year. What is under this project is the restocking of pigs, goats, and cows. Contacts have already been made to start keeping sheep as well. The fencing, on the other hand, is intended to keep the animals within the designated areas on our farm. Currently the Hammer Mill is the only main source of income for the farm. Major repairs however were done on the hammer mill in the course of March and September this year. This is strategically placed to assist in stock feed venture ideal for Black Australorps, a project we are about to undertake soon. We also received funding to replace a motor for the oil expeller which had malfunctioned sometime last year. The Oil expeller will enable us to produce supplements (through its by-products) for our animals and also provide ingredients for our stock feed manufacturing project. The position of Ministry Leader at the farm remains vacant. Please join us in praying for a right person to be recruited for the better management of the farm and the workers. The Christian Education Ministry (CEM) has expanded from just being a local ministry to becoming an international ministry. This has led the ministry to be divided into two ministries with one catering for the local outreach and the other for the international community outreach. The CEM local is headed by Pastor Mwenya Musonda, a graduate from our college, and he is currently managing fifty (50) community schools spread across the Eastern Province of Zambia. We are happy to report that these schools have been well managed and funded. This is a matter of thanksgiving to our Lord. We are also pleased to inform you that Pastor Musonda finally tied a knot in marriage with Edith Phiri on the 9th of December this year. Please pray for him and his marriage. CEM International is a newfound ministry headed by our sister Marjanne Hendriksen. The purpose for this ministry is to take CEM training programmes beyond Eastern province and across borders. For instance, Marjanne will be able to do training afar fields in Malawi and Namibia next year. Locally, she has already made inroads in the Copperbelt. There are prospects also for her to carry out trainings in Lusaka, the capital city of Zambia, and Chama District located in the Muchinga province of Zambia.Marjanne has a delicate vision to establish community schools in new areas cited above. 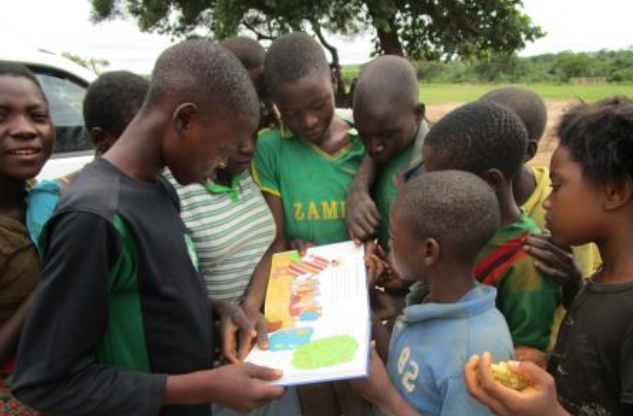 In this way, the gospel is guaranteed to spread to the rural Zambia and beyond borders. Lastly, please continue to pray for the success of our ministries, their programs and investments respectively. We appreciate your partnership and pray that you will continue to support us even next year. Remain blessed and Shalom.